Win a Ludlow artisan food hamper!  Ludlow Food Festival is the grandfather of UK food festivals and has been growing steadily for the past 20 years whilst still remaining true to it’s roots and focusing on fresh, innovative produce from the local region. The festival is held between the 12th and the 14th September and to celebrate, we’ve teamed up with some of the finest producers the festival has to offer to put together this fantastic hamper worth over £100. All that you need to do to be in with a chance of winning is click here and register for our mailing list! Bonus points are awarded when you like our Facebook page and share the competition post, or follow us on Twitter and retweet the competition post. The winner will be chosen on Friday 12th September and will be notified by email or through the social network used. If you’re not lucky enough to win, fear not as you'll be able to find all of these fantastic products at the festival. Best of luck! Keep reading for more information about all of the amazing prizes jam-packed into the hamper so far. Trufflehunter are a UK based family company, who source their truffles from a Sibillini Mountain location in Central Italy. Their mission is to provide Europe’s food lovers with tasty truffle treats. They also use them to make the finest artisan produce, which you can buy on their website or pop along to one of the food festivals that they attend. Trufflehunter provides recipes, recommendations on the beverages to accompany your dishes, fresh truffles and truffle based products for purchase, and even unique and continuously praised truffle hunting holidays. Black Truffle Oil - demonstrates complex earthy mushroom and intense Black Truffle flavours. White Truffle Honey - the finest honey infused with premium Italian white spring truffles (T. Borchii) and their own White Truffle flavour. Truffle Salt - a fine sea salt infused with Black Italian Summer Truffles. Black Truffle - high quality Dijon mustard and Italian Black Summer Truffles. When Carol began keeping goats, she wanted a living lawnmower that could also produce milk for the family. Fast-forward a couple of years, and after a surplus of milk and a demand for the homemade products, Llanvalley Natural Products began churning out goods to be sold across Wales and the Borders. Intent on creating back-to-basics style products, with an environmentally conscientious outlook, Llanvalley pride themselves on providing cruelty free products which are self coloured and contain no fragrances or preservatives. Impressed with their ethos and individuality, Llanvalley have garnered attention from Country Living magazine and are featured in their September edition. The soaps are made from olive oil, for its moisturising qualities; coconut oil, which promotes healing; in addition to the milk from Llanvalley goats. The balms are created from local beeswax and honey for a delicious, natural smell. Tired of the hustle and bustle of London, Helen and Bob retreated to the picturesque town of Ludlow in Shropshire to lead a more relaxed lifestyle. A haven of independent food stores, Ludlow was the perfect location for Helen and Bob to share their passion for healthy lifestyles with their professional lives, and thus Ludlow Nut co was born. The company provides a range of wholesome foods, super foods, dried fruits, nuts, and sweet and savoury snacks. Each product is of the highest standard, and as such, the company has garnered the attention of Harvey Nicholas to provide their Food Halls with a range of porridges, nuts, and oat bars. Dark Chocolate Coated Ginger – hand selected nuggets of ginger in a delicious dark chocolate shell which boasts a uniquely wholesome flavour. Deep in the Herefordshire countryside is a hidden gem named Oliver’s Perry & Cider House. Dedicated to creating products which rely on Earth’s natural resources with as little intervention as possible, Oliver’s creates a truly unique product built upon a sturdy foundation of tradition. Oliver’s have been winning prizes for their products for over a decade, proving their delicious drinks can truly stand the test of time. Gold Rush Cider – a collaborative product created by Oliver’s and Virtue Cider. A rich, sparkling cider using apples from Herefordshire orchards to create a bittersweet and unique taste. Sparkling Medium Perry – early season cider pears crushed, fresh pressed, and left to ferment in old oak barrels to create a classic bold but deliciously sweet flavour. Ocle Pychard Cider – freshly pressed fruit picked at full ripeness and left to ferment in yeast. This cider is special reserve. Around 40 years ago, locals convened to discuss ways of creating new employment opportunities in their area. Nestled in the Shropshire countryside, the group reasoned that an easily transportable product would be best, and thus the idea of selling herbs and spices was born. Now, the award winning company maintains its blend of an open attitude and traditional foundations, whilst also expanding its horizons and having its products stocked in selected supermarkets nationwide. Whilst the company began with herbs and spices for both food and beverages, Shropshire Spice Co is now better known for their gourmet stuffing, a range which has recently been extended to include organic products. From novice to professional chef, Shropshire Spice co is dedicated to providing high quality products to add an extra little something to everyone’s meals. Based in Bosbury, Herefordshire, 3 Counties Liqueur produces hand-made items through the utilization of local fruit and flowers. Having won numerous awards for their liqueurs, including three gold medals at the Great Taste Awards, Derek, Gill and Flo rely upon a recipe with more alcohol and less sugar than in most liqueurs to create a special and superior flavour. Their delectable range of liqueurs can be found at Farmers Markets, Shows, and County Fairs within the Three Counties. Morello Cherry Liqueur – a tart, delicious blend of Morello and Brandy. This liqueur can be served as is, and is perfect in sparkling wine. It can also be used with food, such as an ingredient or accompaniment for chocolate cherry trifle. It is a Taste of the West Award winner. After years of travelling the Americas, Greg and Emma have sampled their fair share of coffees. Eager to share their interpretation of good coffee, they began roasting Arabica coffee beans by hand every week to create a fresh and exquisite flavour. With the help of Geoffrey the coffee roaster, Greg and Emma aim to produce a responsibly sourced and sustainable product, wholly ethical from plant to kitchen cupboard. Brazil Fazenda Canta Galo – whole beans from the highlands located west of Rio de Janeiro with a balanced flavour containing a hint of spice. Their website has a detailed section answering all FAQs regarding coffee to ensure your product tastes as good as it can. A family run business, The Preservation Society produces a delicious range of chutneys, sirops and preserves, all from their home in Chepstow. Their products can be found in numerous shops, and local restaurants have revealed that they cook with The Preservation Society products. Consistently winning awards for a variety of their products, House and Garden have recently featured The Preservation Society in their magazine. Candied Jalapenos – a deliciously spicy dressing candied in sugar, vinegar and spices. Blackberry bramble sirop – a sweet product to mix with dishes both sweet and savoury, and drinks too. The business is active in their aim to promote recycling and sustainability and offer customers a discount for returning jars from previous orders. In the Shropshire Hills, somewhat untouched by the modern world lies a little brewery with a large reputation. Being in business since 1980, The Wood Brewery produces traditional beers at an award winning standard, making it one of the best known brewers in the country. Their recipe for success includes an astounding level of care when brewing, a brewery tap next door to enable customers to test products as soon as they’re made, and a generous heart leading to constant support of local causes and charities. The Wood Brewery beverages can be found in supermarkets and pubs nationwide. Shropshire Lass – golden pale ale, light with a citrus aroma. Hopping Mad –a single hop blonde beer which was create for a competition and placed silver. Parish Bitter – refreshingly bitter with a hint of fruitiness. Poppy Ale – a seasonal beer of which a percentage of the price is donated to the Legion; a WW1 appeal. In accordance with this, the flavour was designed to adhere to a style of beer that was hugely popular 100 years ago. Pot O’ Gold – first brewed to commemorate Shropshire heroes and legends. Shropshire Lad – the brewery’s best seller, boasts a spring bitter with fruity overtones. Despite only joining the cider market in 2007, Ty Gwyn Cider has gone from strength to strength and is now considered one of the foremost craft cider producers in the country. Their objective is to create delectable ciders using traditional methods to be enjoyed by a modern audience. Ty Gwyn Cider produces a range of deliciously unique beverages which can be found in an array of establishments around the UK, including three Michelin starred restaurants. Vilberie Cider – a sparkling, medium-dry cider created from a blend of Vilberie and Brown Snout apples from deep in the Monnow Valley. It is best served cold.